Sun protection, waterproof: Made of Silvering 190T Polyester Taffeta. 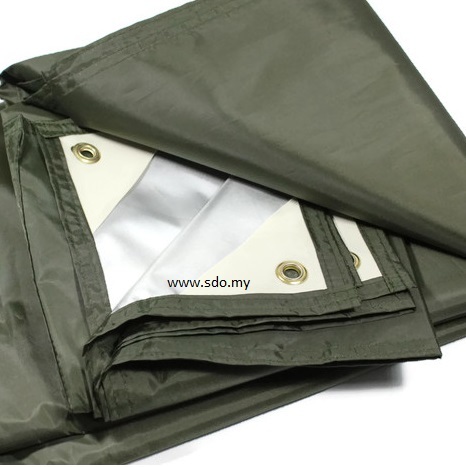 SDO Rain Tarp Shelter 10' x 12' (Army Green) TARP is instant shade. This ultralight, affordable shelter is handy to have aboard when you want weather protection in a hurry, whether you are traveling by land or water.